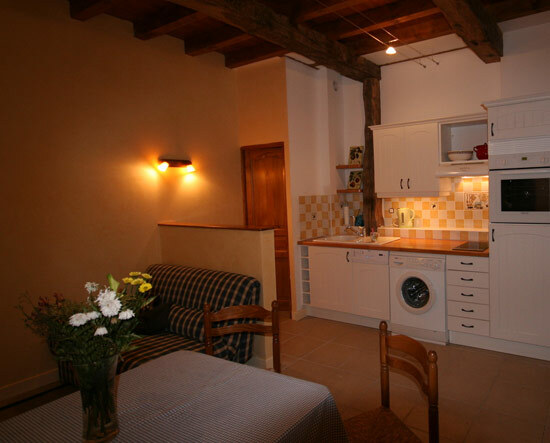 As a complement to our chambres d'hote accommodation at Cami de Bidale, we are delighted to present our high quality self-catering gite, Garobit, which is available for weekly rental all year round. Garobit is prepared for you in "holiday cottage" style, with quality bedding and towels, toiletries, a basket of essential kitchen ingredients and a bottle of regional wine, all ensuring a warm welcome. Based on two levels, Garobit is independently accessed and enjoys the privacy of its own terrace. On the ground floor is the WC and a well-equipped kitchen run, which includes a dishwasher and induction hob. The ground floor also features a south-facing living/dining area, from which there is a great view over the nearby Pic de Montaigu. There is French satellite TV and an integrated DVD player. Games and books are also available. 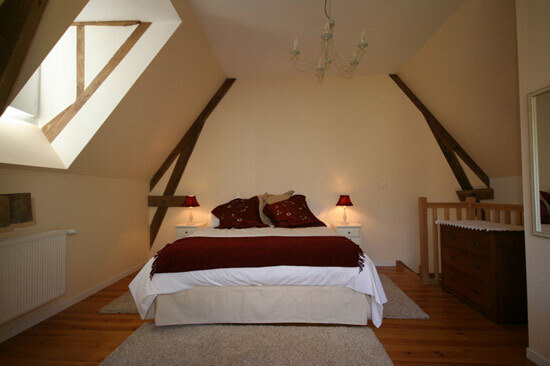 Upstairs there is a spacious bedroom with en-suite shower room and washbasin. The large window overlooks an ancient chestnut tree, host to many garden birds. Garobit is ideally suited for two guests, with the bedroom configurable as either a twin or king-size double. There is additionally a sofa-bed on the ground floor, which allows the option of sleeping three in total. 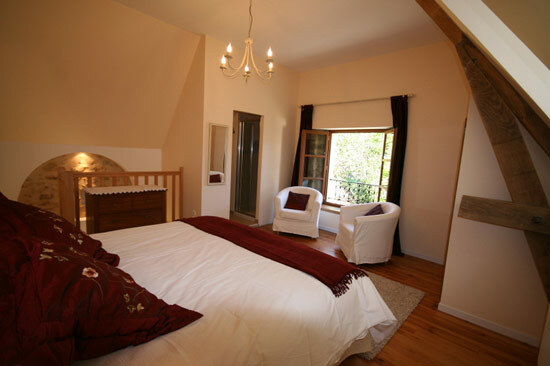 Gite guests can make full use of Cami de Bidale's grounds and outdoor facilities. The property has a superb solar-heated swimming pool, with a sun terrace offering panoramic views of the Pyrenean chain. The pool is protected by an alarm, in conformity with French law.